Meet Maryann. Her home was a gathering place for the misfit friends of her daughter Rebecca, and son Chris, The Common Wheel’s Executive Director. Her home was warm and inviting, just like her smile and spirit. She loved to decorate the house for holidays and cook and entertain for guests. Her homemade pizza, macaroni and cheese, and banana bread will never be forgotten. She loved her garden, knitting (although she never seemed to actually finish anything), and her cat, Annie. She was extremely giving with both her time and money, rarely forgot the birthdays of her nine nieces and nephews (or their eight children), and had a wonderful sense of humor. She loved riding bike with her husband and kids, and led a fun and active lifestyle for as long as she could. But Maryann, like many of us, also had her battles to fight. 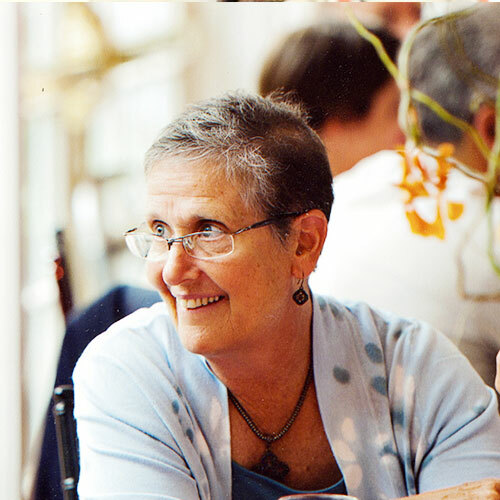 After a decades-long fight with cancer, she passed away in September of 2014. Her spirit and fight is what provided Chris with the motivation to bring his vision of The Common Wheel to life. Her story is important because we continue to transform the community with the same generous, lively spirit. In 2017 we decided to name our annual Holiday Bike Drive in memory of Maryann, calling it the Maryann Caldwell Holiday Bike Drive. At this event, we give elementary aged children in the School District of Lancaster a bike and helmet: a meaningful Christmas present that will continue to give long after the holiday season. At The Common Wheel, we see this as a great way to make an impact in the lives children in our community and honor a wonderful person who loved bicycles. Plus, Maryann was a school nurse for 14 years in the School District of Lancaster, and her birthday was December 15th, which is right around the time of the bike drive each year. Maryann’s memory lives on in every person we inspire with a love for bikes, and we hope to continue to make her proud.